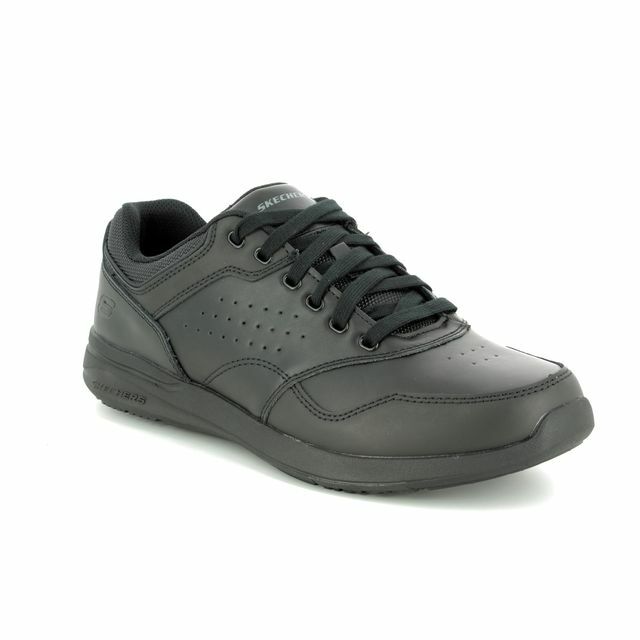 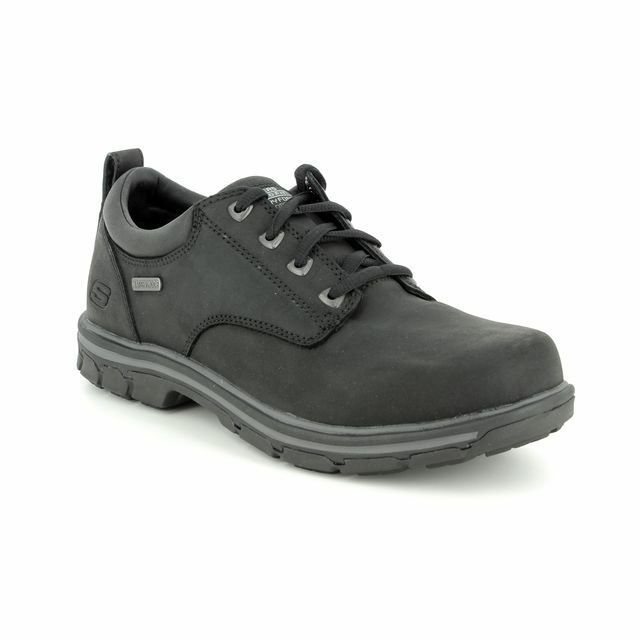 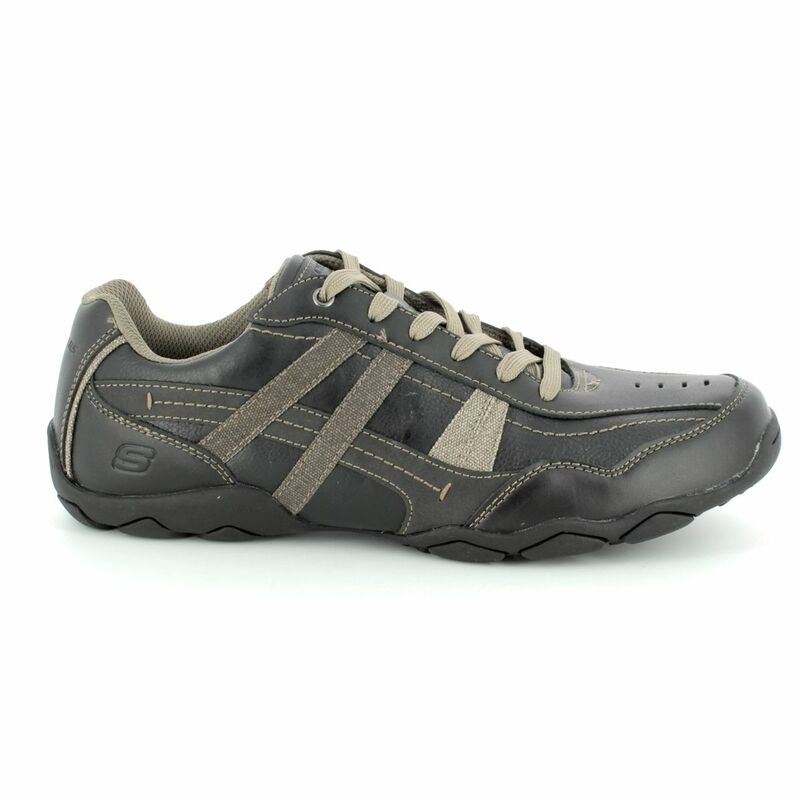 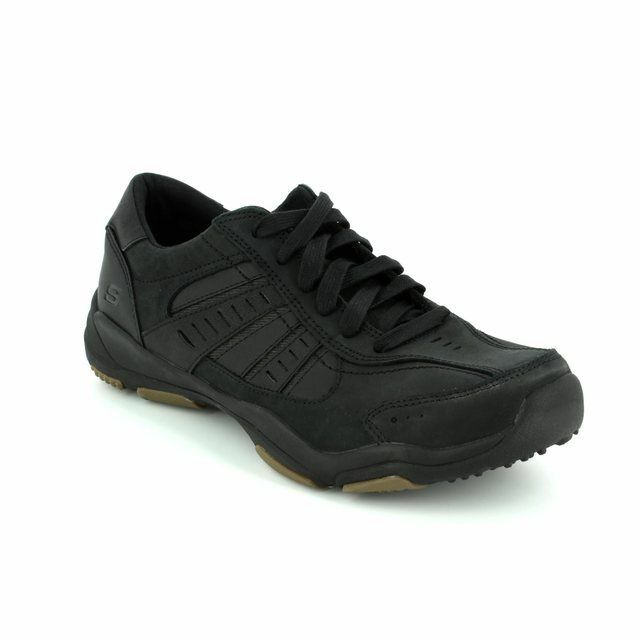 Skechers bring us 65025/017 DIAMETER HENSO. 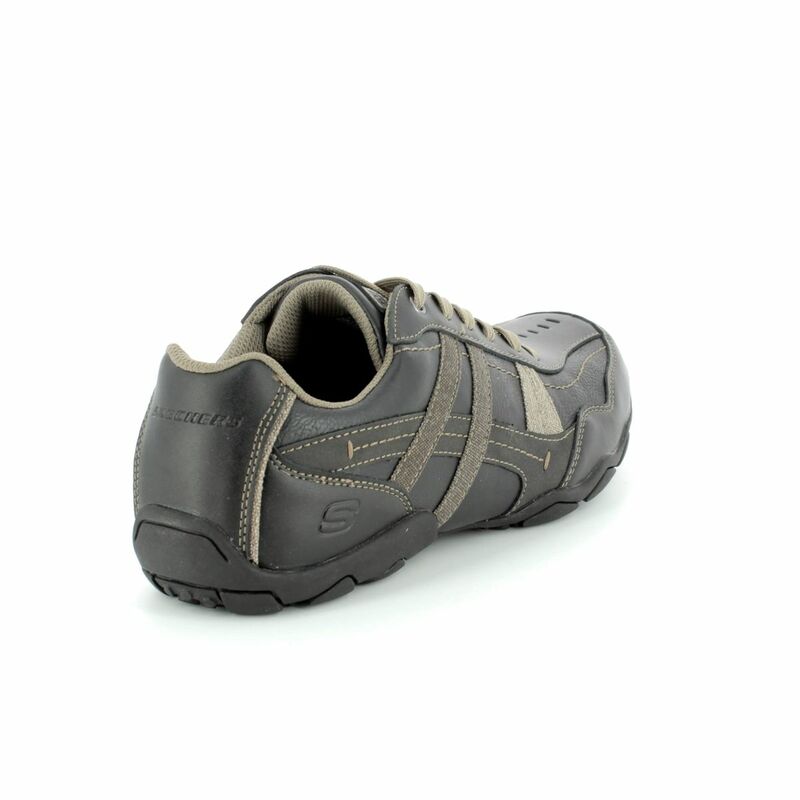 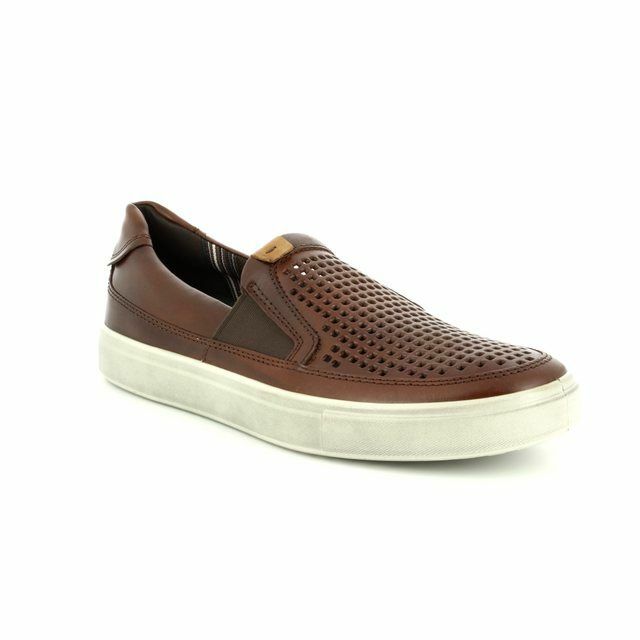 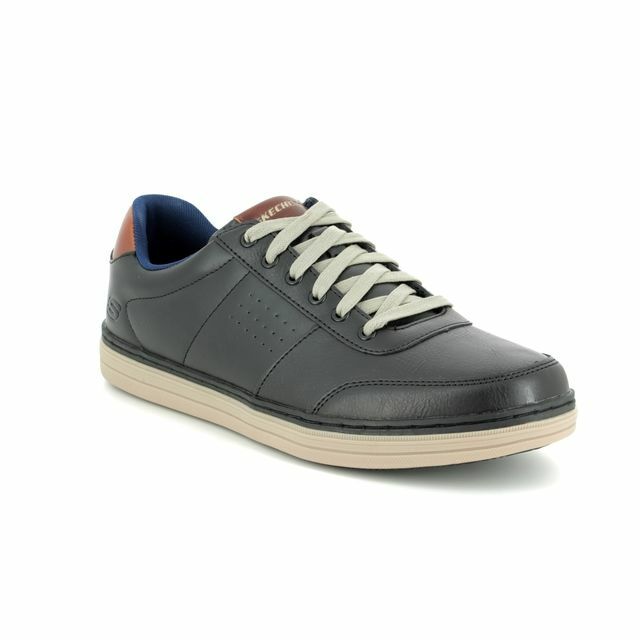 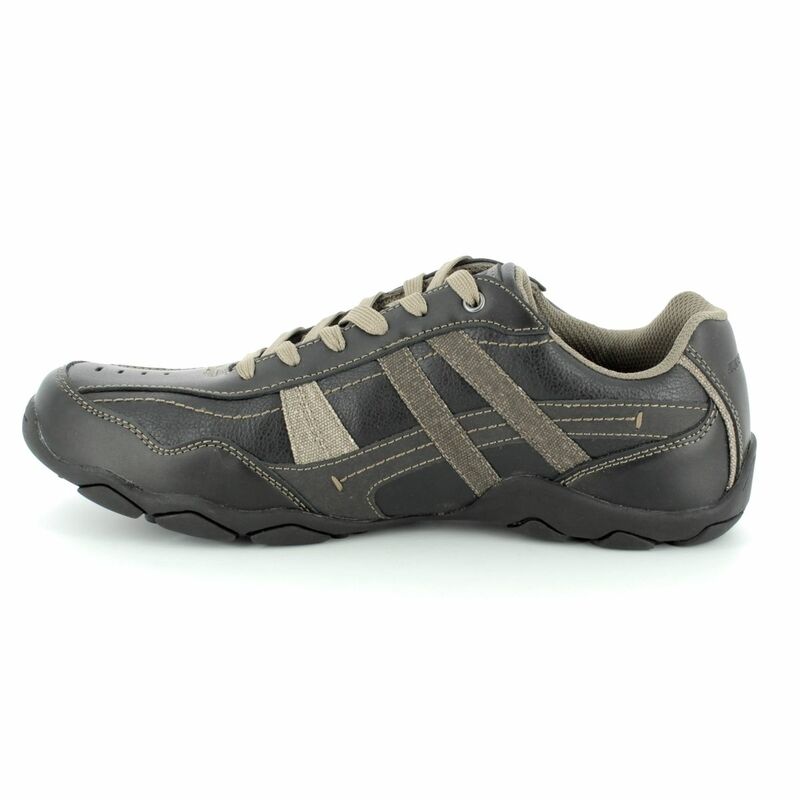 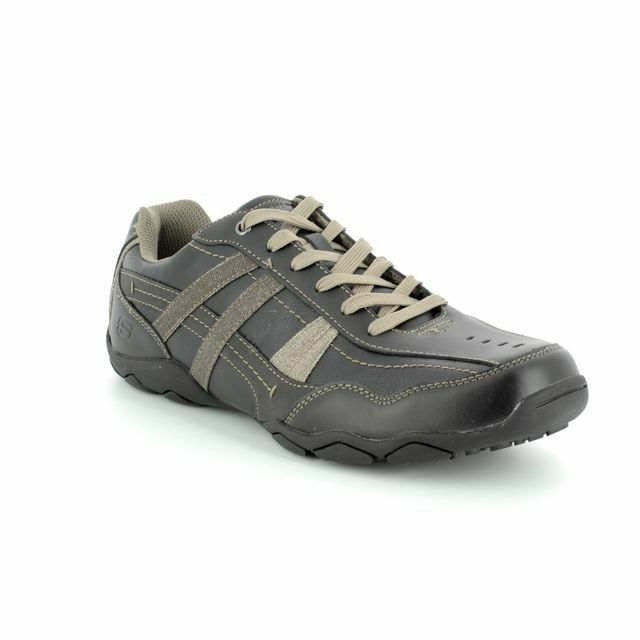 These mens lacing shoes are the perfect smart casual design. 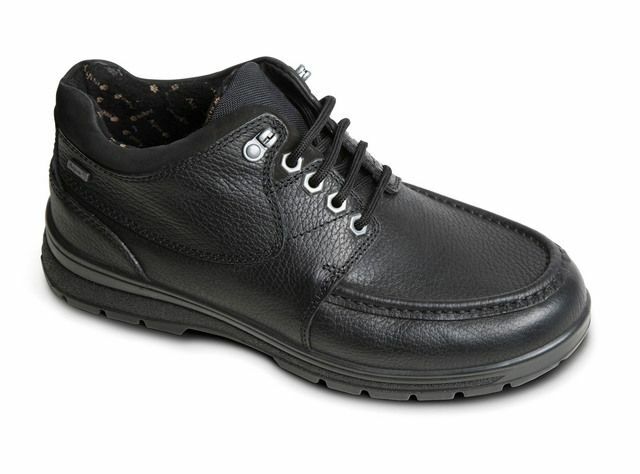 Perfect for work or casual, these black leather shoes feature contrasting brown canvas detailing to the sides as well as stitch detailing. 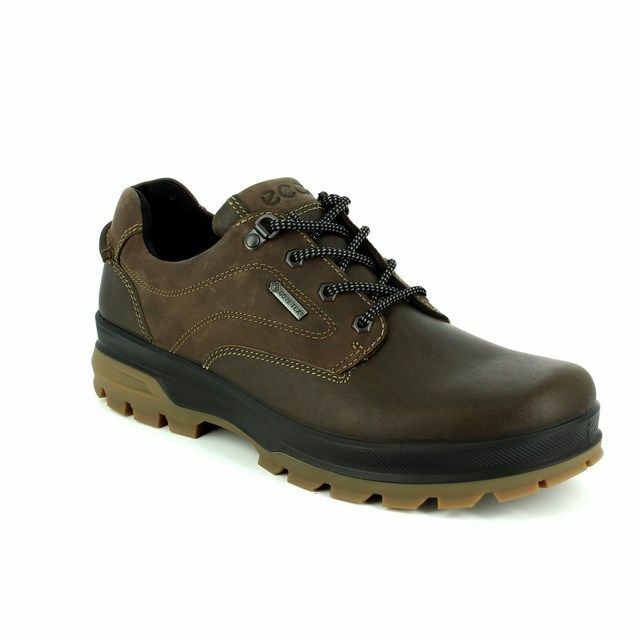 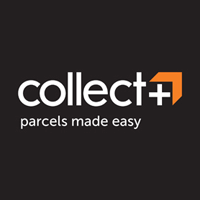 The lace fastenings allow these shoes to be tailored for your perfect fit while the padded collar and tongue along with the memory foam insole combine for the ultimate in comfort. 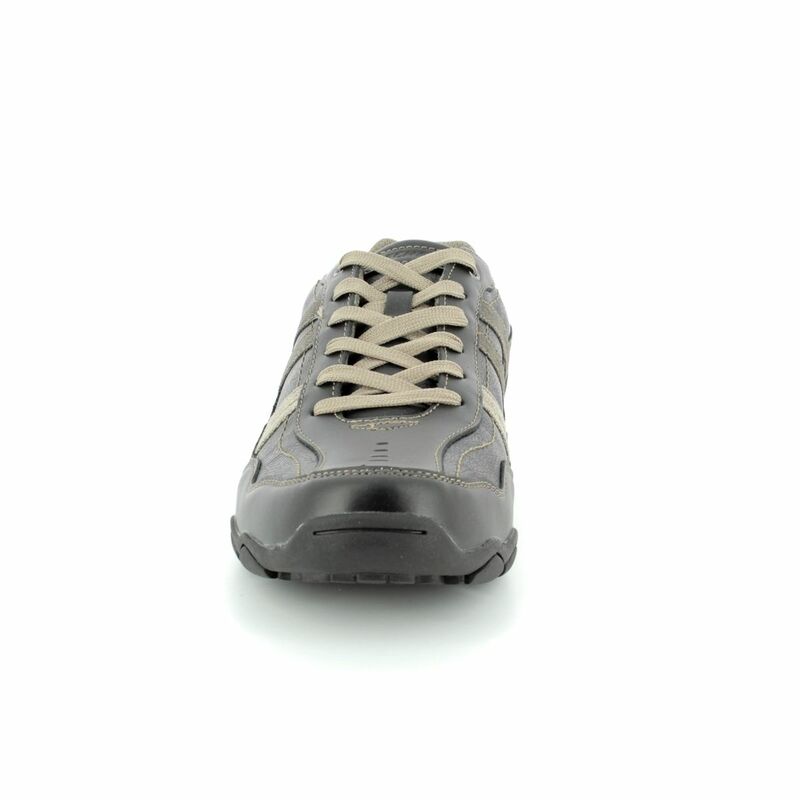 Skechers have paired the memory foam insole with a shock absorbant midsole and 'high traction' rubber outsole for a lightweight and flexible finish. 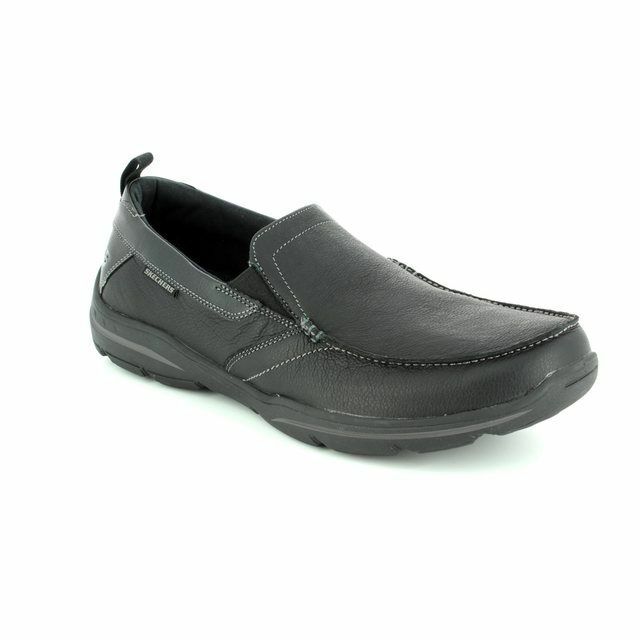 Buy your Skechers mens shoes from Begg Shoes and Bags, an official Skechers stockist.